This past weekend saw a few of us on the Leonardo scheme escape from the hustle bustle of Seville for the day. A number of things popped into my head as the bus took us through the rolling hills outside of the city en route to Cordoba – a city that at one stage in its history was one of the most powerful cities in the world, under the Moorish rulers of Iberia up until the thirteenth century. From countryside escapes to the curious Spanish custom of throwing change at customers, it became rather a contemplative bus ride. I first thought of the interesting balance between yearnings for the exciting, fast pace of city life while relishing opportunities to “escape” to the countryside. What exactly is it that we want to escape from? For those of us who grew up in rural settings it can be more about chasing feelings of nostalgia than escaping the sometimes stressful environment of the cities where we choose to spend our young adult lives. While most cities these days pride themselves with creating open green spaces for us to relax in (Seville’s Parque Maria Luisa is particularly wonderful) it is undeniable that sometimes a retreat to a more rural setting is needed. Perhaps it’s because life seems so much more chilled and hassle free, the less crowded streets or the fresh tasting air. Motivation for escaping to the countryside will certainly vary for everyone, but for me it is the basic desire to keep myself from confining my life to a single urban bubble. Don’t get me wrong, I absolutely adore city living but I think it is important to live with wide horizons. Before we get overly dramatic about expanding horizons I am in this case focussing on the little things we can do to live in lovely, big bubbles. With this in mind I think it is apt not to refer to trips like this as “escapes” but rather “adventures” to the countryside. This Sunday was certainly one of those. Cordoba lies around 100 miles outside of Seville and is world famous for its striking Moorish architecture and scorching summer temperatures. We were blessed with a crisp (by Spanish standards) but sunny November day for our visit, which made the Calleja del las Flores look particularly splendid and the Mezquita absolutely stunning. 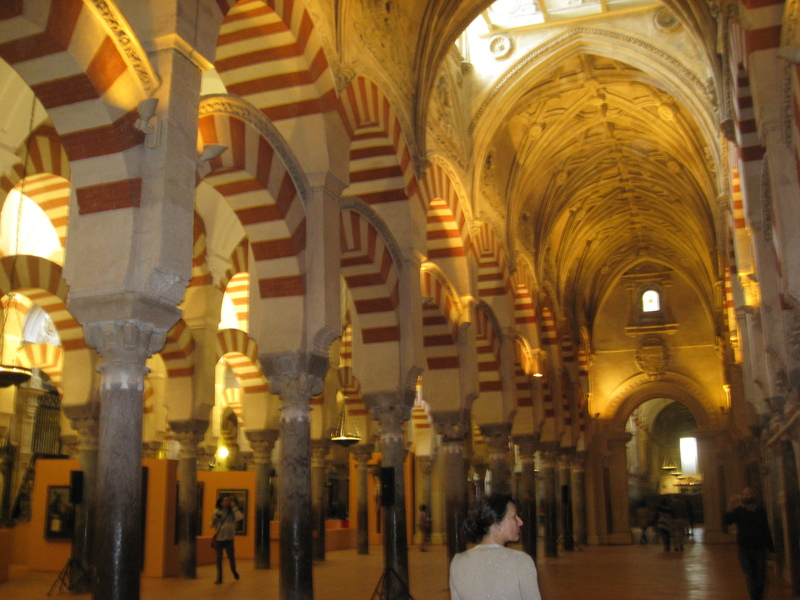 This little blog of mine does not try to be a comprehensive description of the history and culture of Andalusia, aside from the odd crash course, so the Mezquita of Cordoba will be my next victim of crash course history. The great Mosque-Cathedral has a long history under various Muslim and Christian powers and this is reflected in the remarkable architecture on display. The 800+ pillars and multiple domes will make visitors feel like they have been transported to the medieval Middle East; before the various relics, chapels and altars will take you onto medieval and Renaissance Europe. There is something to be said about the somewhat brutal approach to assuming control of buildings constructed for other faiths, here I will observe no further than the amazing effect that comes from such a spectacular blend of East and West under one roof. 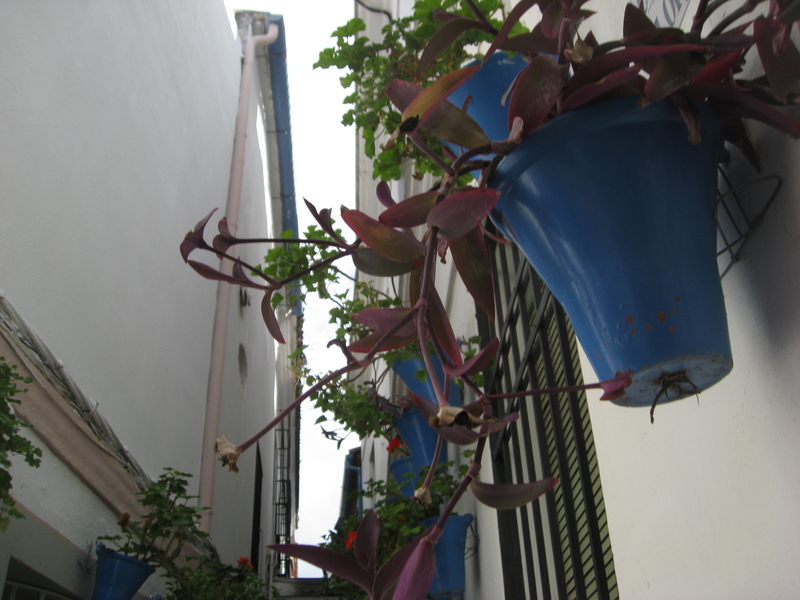 In the final section of this post I would like to introduce readers to a more recent example of Spanish culture. When at a bar a few weeks back, some of us in the group were unpleasantly surprised when the staff took to throwing our change onto the bar on front of us. Ignoring our outstretched arms and open hands it seemed they preferred to leave us to awkwardly pick up the little coins ourselves. I first thought this was one bar having an interesting approach to returning change until it happened again at a supermarket and yet again at the bus station on our way to Cordoba. Disclaimer time – this is not me whinging about having to pick up my own change, there is more to come in this tale. The last detail of this curious custom is that the staff then get agitated at our lack of magnetic fingers and ask us to hurry up and get out the way so that other customers can be served and have their turn at this game. Curious and curiouser. I don’t like to end anything on a negative so let’s call the throwing of the change not bad manners, rather a cultural quirk. I am excited to get thinking about my next post for your reading pleasure. Until then, happy bubble blowing.